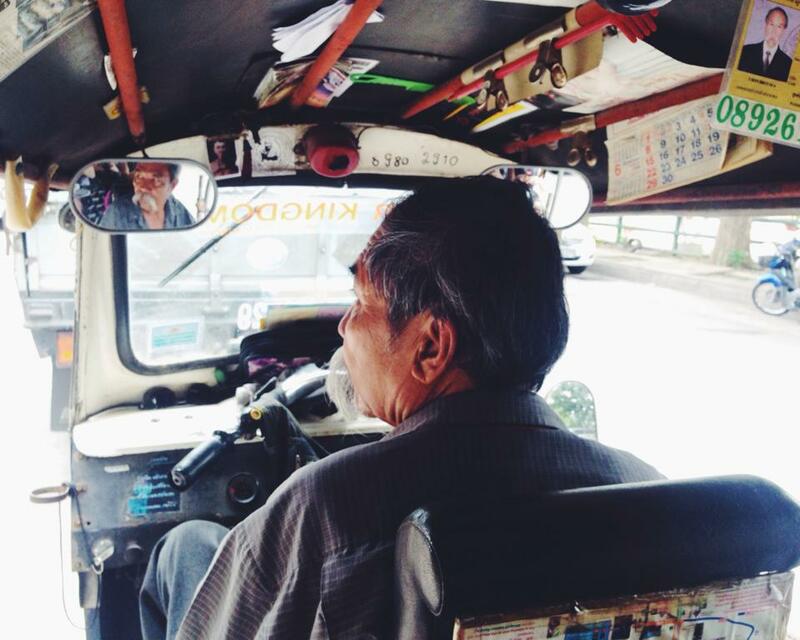 One thing I was particularly excited to see and try in Thailand was the Tuk Tuks. They are like scooters and cars mixed together but are all brightly coloured and just one of the coolest things I've ever seen. If they were road legal in the UK I'd have to get myself one for pottering around in. We had a lovely first experience in one, with a very sweet man driving us who also had an amazing moustache. They have many things in their cars and Tuk Tuks for protection so at the top of them it almost looks like a little shrine. I loved this as each were different and personal, so it allowed you see things that meant so much to the drivers without even knowing them. Little insights into their traditions were so refreshing.